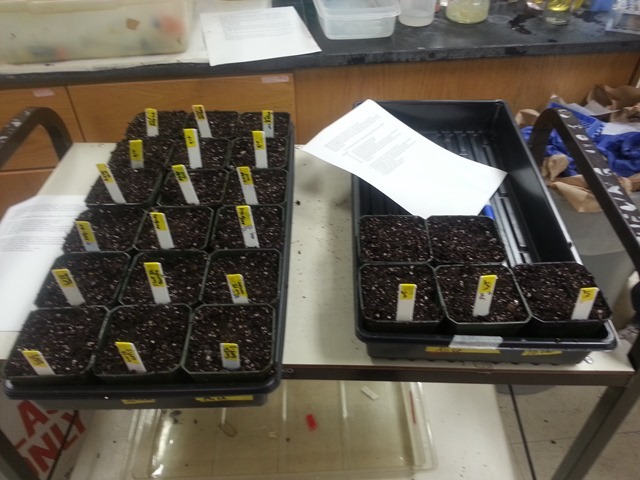 Our seeds, which will be ready in about five weeks. 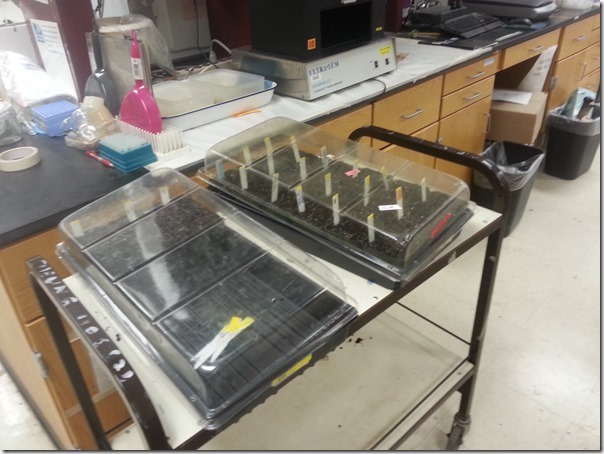 We then prepared soil and spread seeds for direct soil germination. 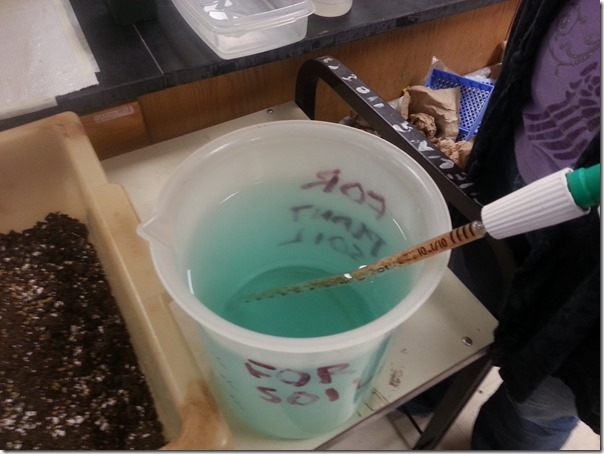 There is a lab protocol for exactly how the soil is supposed to made, which was very interesting to learn (and remember well from my childhood. A solution of nutrients to be mixed with the soil. 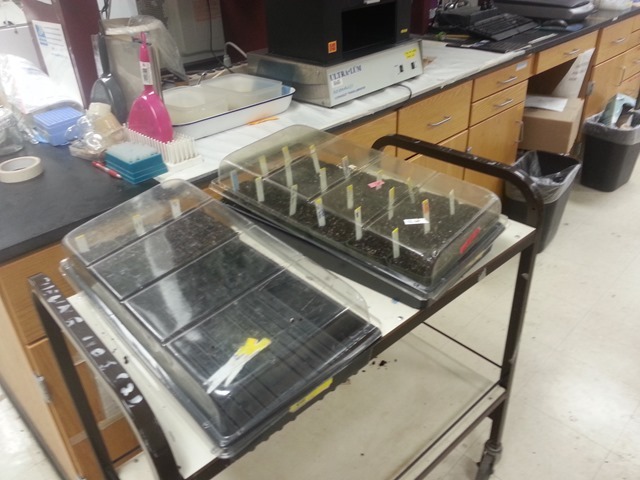 Our seeds are covered so that the soil doesn’t get too dry, but have a corner propped to help mitigate mold growth.